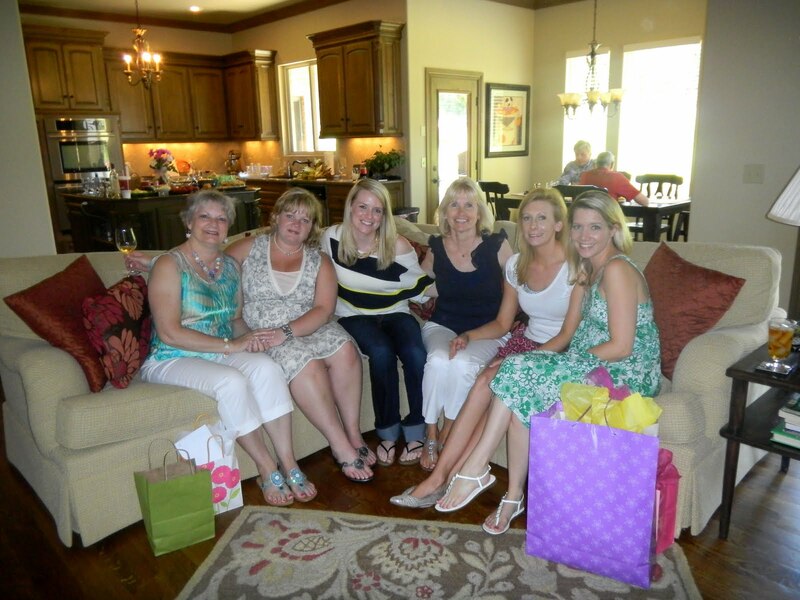 The Murphy Journeys: A Fun Mother's Day! Today was my first official mother's day - seemed kinda weird and I'll be honest, there were times I had to remind myself I was a mother! It's just crazy that I'm now amongst the moms of the world! Love it! Dad did not disappoint - he and Kate put together the sweetest card and bought mommy a spa package - the card said to relieve all the stress "daddy" causes! We also hosted a lunch for some of our family - Kyle's mom and Sharon Vaughan (mother of my brother-in-law, Brian). 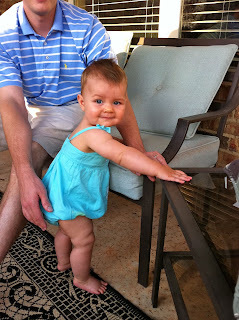 We grilled steaks and had such a great meal and watched Kate crawl around and climb on things! We definitely missed having my mom in town! She'll be here soon, though, in a couple of short weeks! Kate FINALLY started crawling this past week and so she made her big debut for everyone showing off her new found skills today! For what seems like forever, Kate has carefully leaned to reach anything she might want and has done a pretty creative scoot to get anything too far in the distance to reach. I think she's pulled out all the stops to avoid having to actually crawl. 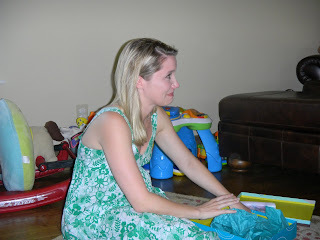 We were excited when she finally began to crawl instead of straining, stretching and scooting to get what she wants - ha!! But, the crazy truth is I think she'll be walking any day now. 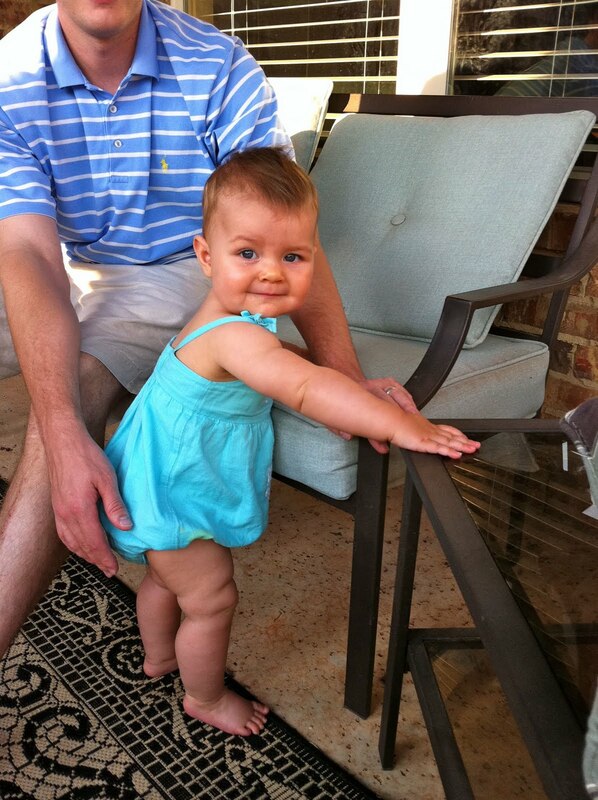 She can already pull herself up on things and takes huge steps with help. I'm afraid the long-anticipated wait for mobility is now in full force! Today was such a great day! Awe! 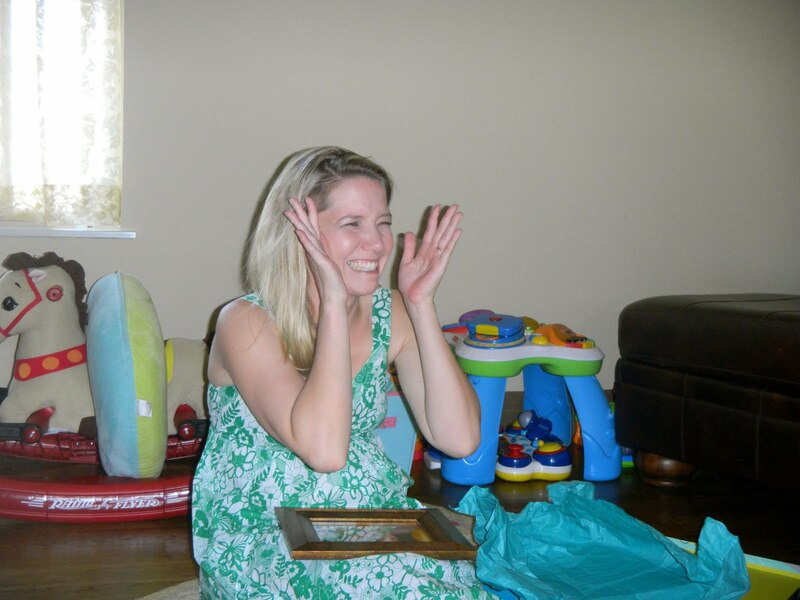 Happy 1st Mother's Day! 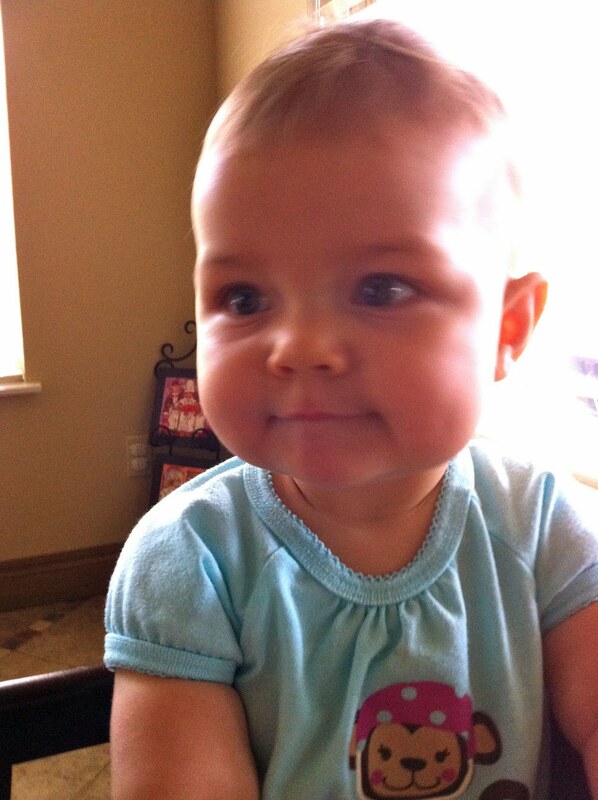 Kate is getting so big! I can't believe it!